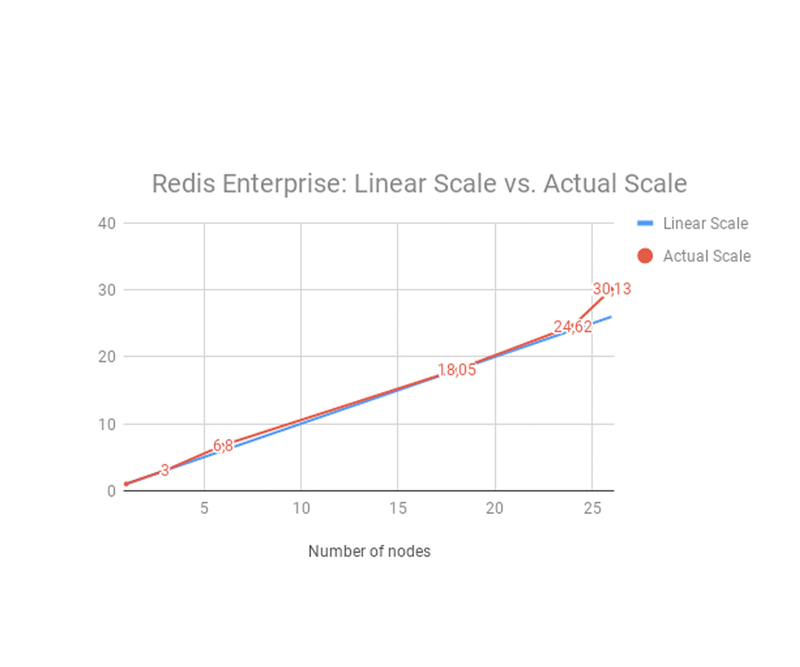 Redis Enterprise delivers linear scale, proven time and again! 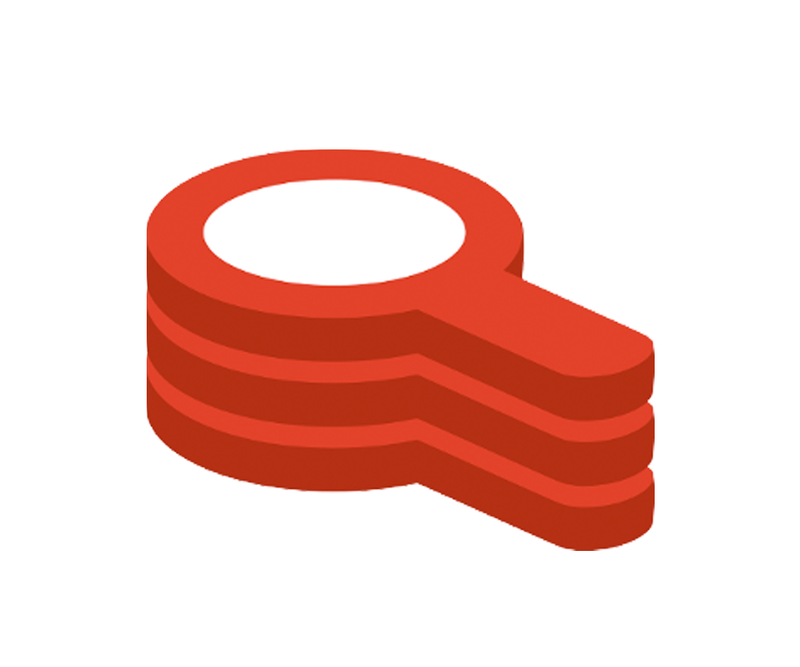 In Redis Enterprise 5.0, we introduced support for the Open Source (OSS) cluster API, which allows a Redis Enterprise cluster to scale infinitely and in a linear manner by just adding shards and nodes. 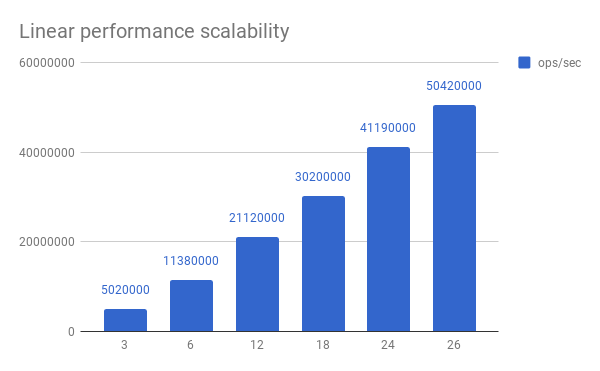 This post describes the first of our linear scaling benchmark tests and how Redis Enterprise works with the OSS cluster API and demonstrates infinite linear performance scalability. 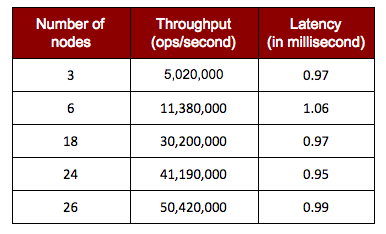 This demonstrates that as throughput increases, there is a linear proportional increase in nodes and Redis Enterprise is able to consistently deliver sub-millisecond latency across all data sizes and workloads. The details behind this analysis, as well as a complete write up of the benchmark configuration, is available in this whitepaper. So what is linear scale? According to wikipedia, a scalable database is one that can be upgraded to process more transactions by adding new processors and storage, and which can be upgraded easily and transparently without shutting it down. A database can scale-out (by adding node(s) to the cluster, rebalancing and then resharding your database) or scale-up (by adding shards to your database without adding nodes to your cluster). Redis Enterprise is optimized to scale both out and up, simply by the virtue that it’s not bound to disk. “Linear scaling” (when scaling out) means sequentially scaling your database by adding resources (in Redis terms, “resources” refers to nodes and shards) that correlate to the increased throughput. True linear scalability means that the amount of resources increases at the same proportion as your database throughput, and in a deterministic manner. For example, increasing your cluster resources by 50% will translate to 50% throughput increases. Understanding the scalability of multi-node systems is crucial for resource planning; it’s important to know exactly how adding nodes and shards will impact performance. If a database can scale linearly, it minimizes operational overhead and allows you to grow your business without having to worry about size limits or performance bottlenecks in your database. However, very often there is an overhead associated with scaling out, which means when you increase your capacity by N, your database throughput often increases by a factor that’s less (or much less) than N.
Do other NoSQL databases scale linearly? There have been many benchmarks and blogs published by other database vendors on their ability to scale, but truly, the results show that Redis Enterprise outperforms its NoSQL counterparts. I’ll summarize them quickly in this post, but there’s a detailed vendor comparison chart here. This chart below is the outcome of a benchmark that one of the other NoSQL vendors performed. It compares NoSQL databases such as Apache Cassandra, Hbase, MongoDB and Couchbase. As is obvious from the charts, all of these vendors deliver sub-linear scale. For instance, if we analyze Cassandra’s throughput by node, Cassandra can process ~18,700 ops/second (rounding up) with 1 node. Then, at 32 nodes, it should have been able to process ~600,000 ops/second. However, as illustrated above, it can only process about ~330,000 operations/second—only 55% of what a truly linearly scaling database should be able to process. The same math and conclusion holds good for all other vendors in this table. The fact that these databases are measuring tens of thousands of requests per second as their best case scenario is rather appalling. Modern day applications such as eCommerce, social networking, online gaming, messaging and collaboration, Internet of Things and many others need to be able to handle millions of operations per second. These databases are clearly not built for such volumes while delivering lower TCO. With it’s latest benchmark, Redis Enterprise has proven its ability to process millions of operations per second, even when using its most basic configuration. As demonstrated in the chart below, Redis Enterprise simply outperforms the other databases and delivers super-linear scale without any compromise to performance! This new benchmark demonstrates Redis Enterprises’ ability to achieve true linear scalability, while delivering the predictable and fast performance with the most efficient use of your resources, helping you build scalable modern applications cost-effectively.